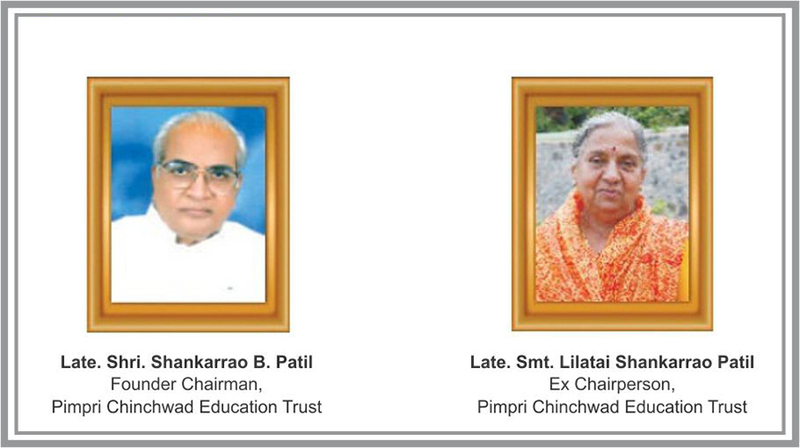 Hon'ble Late Shri.Shankarrao Bajirao Patil was a Founder Chairman of the Pimpri Chinchwad Education Trust. In 1990 with a devoted team of trustees from Pimpri Chinchwad area like Hon'ble Shri D.P. Landge, Hon'ble Shri V.S. Kalbhor , Hon'ble Shri. S.D. Garade, Hon'ble Shri. Bhaijan Kazi started a Polytechnic college. Hon'ble Late Smt. Lilatai Patil was the second Chairperson of PCET. Under her guidance also PCET grows to an unlimited height.